Your organization has its unique Right Mix of cloud. 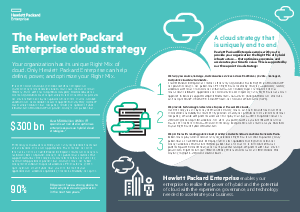 Only Hewlett Packard Enterprise can help define, power, and optimize your Right Mix. Download now to learn more.